The concept for our new Signature Series kid's pajamas evolved from our original Team Replica kids pajamas. We realized that kids not only like to look like their favorite riders, but they might also enjoy wearing pictures of Jeremy McGrath, Travis Pastrana, Chad Reed & the rest of the Smooth athletes. 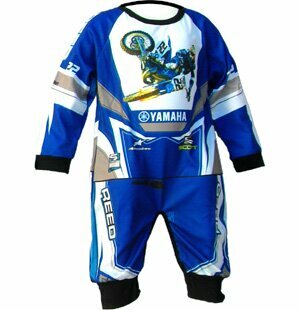 The 1 piece Signature Series pajamas are made from the same flame retardant, breathable, light-weight 100% Polyester as the 2 piece pajamas and feature sublimated graphics that will not fade or wash out as well as hi-memory cuffs and snaps at the legs for added convenience in between moto's.